Did you know that data threads (pun intended) through everything we do at Stitch Fix? From helping us decide on the placement of a print on a shirt to influencing the way our Stylists make their selections (for you! ), data is one of the favorite tools in our toolbox. 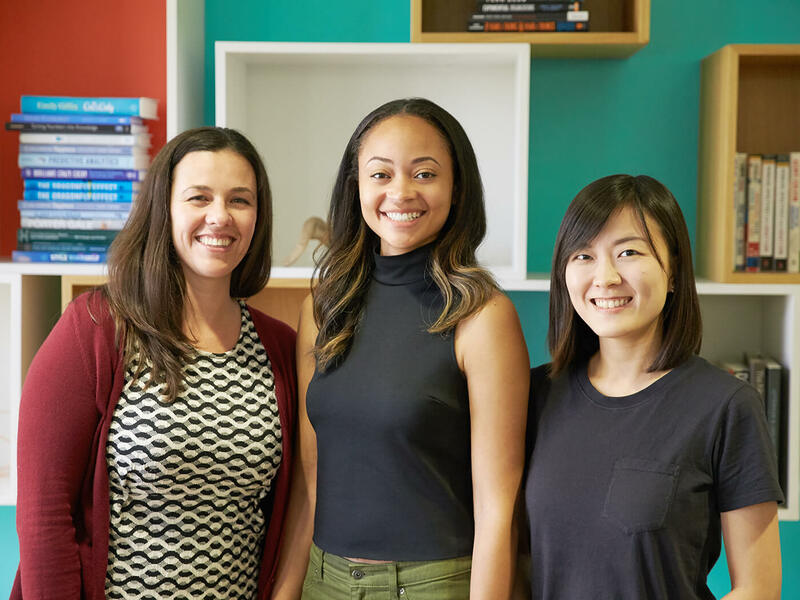 This month, we chatted with Sonya Berg, Ceslee Montgomery and Jing Jin to learn more about their life as data scientists, what keeps them motivated (you’ll be inspired, we promise) and their take on personal style. First things first, how did you get into data science? Sonya: I got my PhD in math and learned to code in grad school. I always loved coding—I thought it was so fun. Once I finished up my PhD, data science was becoming a “thing.” It’s funny because when I started college in 1999, data science was not a thing. It’s just like the stars aligned for me! Ceslee: I have a similar story! Data science didn’t become a “thing” until halfway through my undergrad career and I didn’t learn of it until my senior year. I was struggling with how to combine my interest in people (I studied sociology) and computer science. I would sometimes code from 10pm to 2 am and time would whiz by, I was so lost in it. Jing: I got my PhD in psychology and started my career as a psychologist, then transitioned to consulting for talent management. At the time, big data was starting to gain popularity and companies were embracing the idea of using data to make decisions. That’s when I joined the people analytics team at Facebook where I used data to learn about employee performance, engagement and satisfaction. With data science, I combined my interest in people (I study our Stylists now!) and my technical skills. How do you explain data science to those who aren’t familiar with the field? Sonya: I like to explain data through examples. Most people are familiar with Pinterest, so let’s say that I have a pair of burgundy pants but don’t know what to wear with them. So I go and type in “burgundy pants” and Pinterest shows me a ton of burgundy pants, but how does it know what to show me? Data science can take your input and give you the output of what you’re looking for. Jing: Data science is a tool you can use to support or rule out an anecdote or test a hypothesis. If you have data, you can figure out the answer to your question and use it to make a solid decision. And for applications, data science can be used to eliminate the repetitive or tedious work. Can you tell us how your work is impacting what the client gets to see and experience with Stitch Fix? Sonya: I work on the client algorithms team, and I focus on people who aren’t clients yet. I’m trying to figure out what makes the best experience and biggest impact for people who are just finding us for the first time. Ceslee: I work on the same team as Sonya, but I’m focused on the journey of a client’s first visit to scheduling their first Fix. I get to investigate and understand why people decide to sign up (or not) and uncover opportunities for us to improve their experience. I look at it as an opportunity to delight our clients—it’s our chance to make a great first impression! Jing: I’m on the Styling algorithm team, so I work to understand how Stylists are making decisions and how they can be more effective in choosing products for their clients. I know this is a “spicy” conversation topic, but do you have a favorite part of being women at a large tech company? Ceslee: I think our team is a really good business case for why diversity matters and why diversity is not about a touchy-feely thing that we feel like we have to address. It’s been a core competitive advantage of this company from the beginning. It was a gaping hole in the market. You have to have people working on the product that resembles the population that your product is serving. It’s extremely practical to have diverse perspectives and to have representative perspectives when building products. Sonya: It feels really good to work at a company that was founded and has a CEO that’s female. 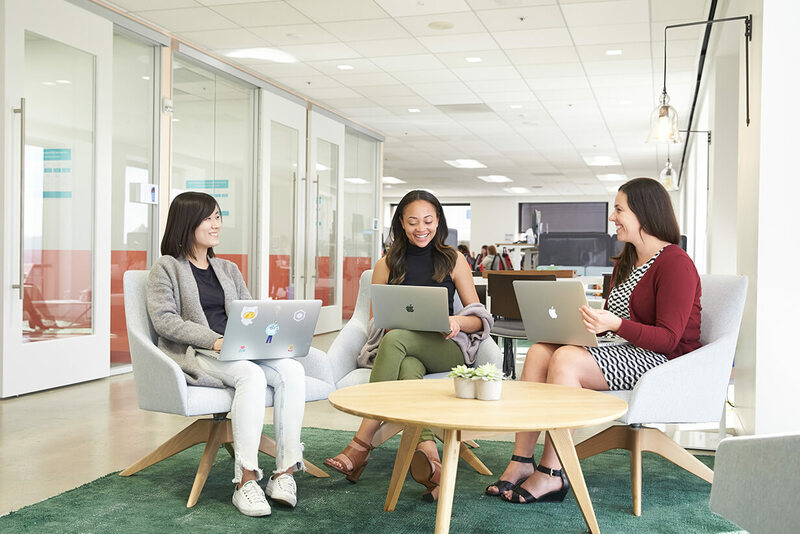 It also feels great to know that we have one of the best data science teams in Silicon Valley with a large proportion of us being female—and that’s not a coincidence. That diversity helps us be the best we can be. Jing: And I think definitely women and men think differently, so having women at the table offers a really different perspective, especially when the conversation is about women’s clothing. Do you have any advice for women who are looking to get into tech or data science? Sonya: I do, but it’s not gender specific. Be conscious of the company’s culture. It’s worth really figuring out what you want in a work culture and then going for that. Jing: I would encourage people to overcome gender stereotypes. So I think the first step is to break any stereotypes that you have and not let yourself fall down that path, but believe in yourself instead. Ceslee: I agree with that. I think it’s important to mention gender stereotypes, too. Personally, I have to not fall into the trap of wanting to be superwoman. I think our culture supports the notion that we have to be extra spectacular. If you want to be superwoman, totally do it, but if you’re not, don’t think less of yourself. Jing: I remember when I was attending a women in data science conference, they mentioned women and the imposter syndrome. Some women believe they deserve less than they have right now. So, I think that confidence is another aspect. The technical part is manageable. Everybody can get that part, but before that you have to believe in yourself. Once you’re there, you can handle the rest. Sonya: Learning more every day. I feel very strongly that if I can say I learned something today, then it was a success. That is my main metric these days. Jing: Exploring and experiencing life in different ways. For example, learning new things or traveling to new places. I also love to help people. I’m intrinsically interested in people and in helping them. So, I think in my job of analyzing and studying Stylists’ behaviors, it’s helping them to do a better job that both benefit the company and themselves. Ceslee: I had this conversation with my boyfriend the other day and we had very different perspectives. But, we finally landed on this quote: “wherever you go, leave your mark.” If I’m here, I want to do my best. If I’m here, I want to do things that matter. Every human being has so much talent, right? So, I want to empower other people to feel free to utilize it. To use it up! Jing: I like simple, clean low-profile dressing. I tend to prefer comfort over style and quality over quantity. Sonya: I do have a style icon, and that’s Claire Underwood from House of Cards, but I also gravitate towards a pin-up look. But, I don’t do that on a daily basis. Ceslee: Okay, this is the question I prepared the most for! When I studied abroad in Paris, I was fascinated by Parisian women and their sense of style—it was very simple, chic and versatile. I think it inspired me to have a minimal, capsule wardrobe. Has working at Stitch Fix changed your view on style and fashion? Sonya: I think that I speak for a lot of the women on our team that we love working at a place that allows us to dig into our style a little bit more. And this is, for a lot of us, the first time we’ve ever asked ourselves what style we want to have. I used to hate clothes because they didn’t fit well, I didn’t know what I wanted and that was stressful. Once I started getting Stitch Fix and finding clothing that I never thought I’d like, it has changed my life. At the risk of sounding really cheesy, I truly feel that way! Jing: I think the environment this office creates allows us to experiment with our style in big and small ways. I started exploring my style after seeing others around the office wearing certain pieces. For example, I never wore a jean jacket before coming here, but I got one from Stitch Fix and I really love it! I think I’ve learned how to branch out from my comfort zone a little more. Sonya: Yeah, for me I never wore white jeans before I started working here! Sonya: A jean jacket and All Birds. Jing: A black or grey t-shirt, ankle jeans and sneakers. Really simple. Ceslee: A pair of fitted skinny jeans and some kind of athletic shoe that’s appropriate for the office. Last question. Do you think people in tech get a bad rap when it comes to style? Jing: They have their own style. Sonya: I agree with that, they have their own style. But it’s changing because I think style in tech was originally defined the by the non-inclusivity of those who worked in tech. But now that the industry is getting more diverse, I think we’ll see a shift in what style looks like. Ceslee : Is no style a style? But really, I think tech is pushing style forward in some ways—like the athleisure trend and the desire to be more comfortable. I think other folks are responsible for that too, but we’re one of the few industries that dissuades people from wearing a suit and tie to the office. So in many ways I think we’re helping to push style in an interesting direction. 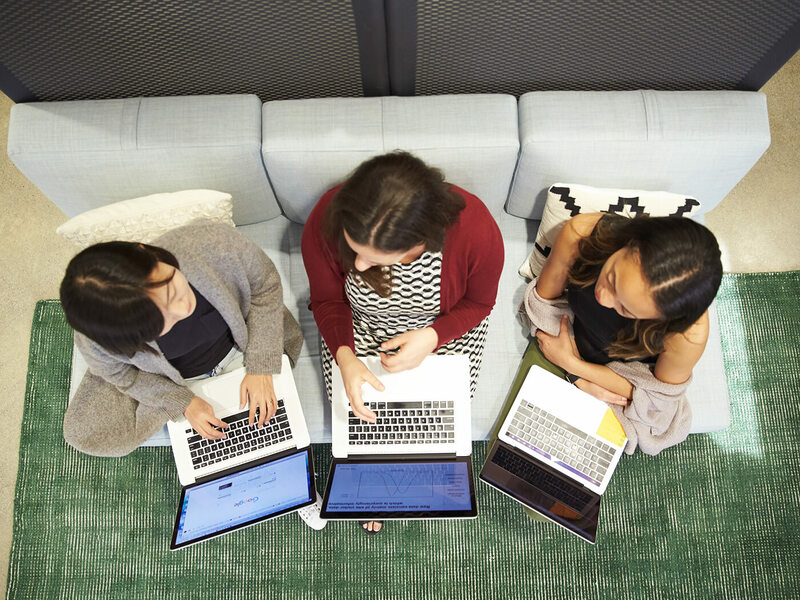 Want to learn more about data at Stitch Fix? Head to the Multithreaded blog to read up.